The USA’s resident Green Anole, Anolis carolinensis, is one of the most familiar of all reptilian pets, and introduced many of my generation to reptile-keeping. Less well-known (in fact, largely ignored!) are two equally beautiful, green-colored, color-changing anoles that that have become established in the USA in recent years (in and around Miami, Florida…no surprises there!). Both of these active, interesting lizards – the Cuban Green Anole, A. porcatus, and the Hispaniolan Green Anole, A. chlorocyanus – will be instant hits with anole enthusiasts, especially those of us who still favor the “original” Green Anole over all others. The Cuban Green Anole inhabits Cuba, Isla de la Juventud and the Dominican Republic; a feral population is established in and around Miami, Florida. Two subspecies have been described. The Cuban Green Anole resembles the Green Anole in size and shape, but exhibits a more complex array of colors, with various shades of green and brown often being present at the same time. A variety of dark brown to black lines and spots may also be present, and some individuals are speckled with blue and gold. The Hispaniolan Green Anole is, as you might guess, native to Hispaniola (Haiti and the Dominican Republic) and several small offshore islands. Introduced populations are established near Miami, Florida, and in Surinam. Two subspecies are known. 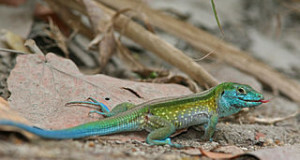 This attractive lizard is somewhat larger than the USA’s native Green Anole, with males reaching 8-9 inches in length. The dewlap, present in both sexes but larger in males, is deep blue in color. I’ve read several reports that both the Cuban and Hispaniolan Green Anoles will hybridize with the Green Anole (A. carolinensis), and am very interested to learn more…any comments or observations you might have would be most appreciated, thanks. Cuban and Hispaniolan Green Anoles are quite active and become stressed in tight quarters. While a single animal can technically be housed in a 15 gallon tank, a 20 gallon would be preferable. A pair or trio should be provided with a 20-30 gallon aquarium. They are natural acrobats, and show to their best advantage in large, well-planted terrariums…you’ll see much more of interest if your pets are housed properly. Zoo Med Repti-Breeze Aluminum/Screen Cages are ideal. They provide critical air circulation and, if placed outdoors in suitable locations, also allow for UVB exposure (glass and plastic filter-out UVB rays). Tall style Exo Terra Terrariums can also be fashioned into excellent anole habitats. Numerous branches, cork bark slabs, plants and vines should be provided, as anoles fare poorly in bare terrariums. Plants and cork bark also provide “sight barriers” that offer security and ease aggression among tank-mates. 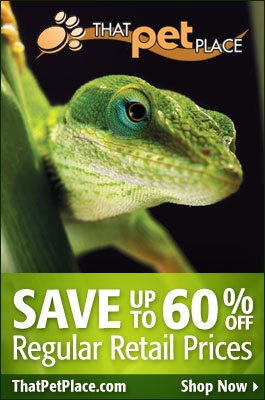 A wide variety of artificial terrarium plants can be put to good use by anole owners. I favor hanging plants equipped with suction cups…when attached to glass, they greatly increase the cage’s usable surface area. Cork tile backgrounds serve a similar function. Live plants should be included whenever possible. Snake Plants, Pothos, Philodendron, Peace Lilies and other sturdy house plants will be well-used by these little gymnasts. Basking sites should be plentiful, as dominant individuals will exclude others from these important areas. Driftwood, Java Wood, Grapevine and fruit tree branches are useful options. The substrate should be capable of holding moisture. Cypress mulch, coco husk and rainforest substrates are all suitable. If needed, sphagnum moss can be added to improve water-retention. Anoles will not thrive if denied access to UVB radiation. If a florescent bulb is used (the Zoo Med 10.0 UVB Bulb is ideal), be sure that all animals can bask within 6-12 inches of it. Mercury vapor broadcast UVB over greater distances, and provide beneficial UVA radiation as well. The ambient, or average, air temperature should range from 82-87 F, with a basking spot of 92-95 F. Incandescent bulbs should be used to maintain these temperatures. Temperatures can dip to the low 70’s after dark. A ceramic heater or red/black reptile “night bulb” can be used if night-time heating is required. Provide your anoles with the largest home possible, so that a thermal gradient (areas of different temperatures) can be established. 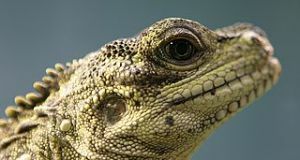 Thermal gradients, critical to good health, allow reptiles to regulate their body temperature by moving between hot and cooler areas. In small or poorly ventilated enclosures, the entire area soon takes on the basking site temperature. Cuban and Hispaniolan Green Anoles do best when provided with moderately high humidity levels, but they also require air circulation and dry areas. The terrarium should be misted at least twice daily. A screen top, or the screen cages mentioned above, will ensure adequate ventilation. Small reptile misters and humidity gauges can be put to good use in dry homes. All anoles should be offered a wide variety of food items. Crickets alone, even if powdered with vitamins, are not a sufficient diet. Crickets should be fed with cricket pellets and other nutritious foods before being offered to your pets. Other important anole foods include small roaches, calciworms, butterworms, silkworms, lab-reared houseflies, and field-collected invertebrates such as moths, hairless caterpillars, small beetles, earwigs and harvestmen (“daddy longlegs”). The Zoo Med Bug Napper is a valuable insect-collecting tool. In order to increase dietary variety, try offering canned silkworms via feeding tongs. A mixture of papaya/apricot baby food, honey, liquid reptile vitamins, and water should be offered weekly. Food offered to adult anoles should be sprinkled with a vitamin/mineral supplement 2-5 times per week, depending upon dietary variety (please post below for detailed information). Young animals require supplementation with most meals. I favor ReptiVite and ReptiCalcium. Anoles generally refuse to drink water from bowls; their enclosure should be misted twice daily, whereupon upon they will lap up the droplets.